More than half of internists say they would never use a scribe to take notes during the clinical exam, according to the results of a recent survey. ACP Internist outlined the practice of using scribes in its February issue, noting that taking a patient's history is considered an intimate part of the exam process, one long-cherished by traditionally minded physicians. 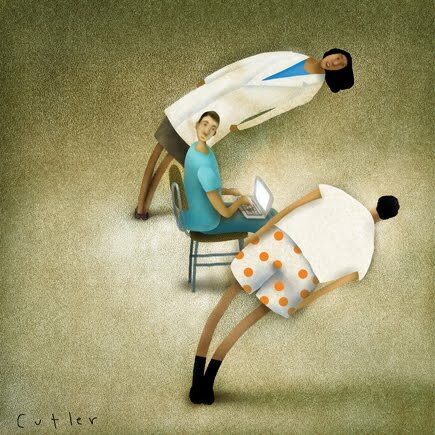 Like much of the traditional practice of medicine, it's facing a new model for efficiency. We asked our readers whether doctors should delegate the dictation. In response to the question, "Which of the following statements best describes your/your practice's use of a scribe, who performs a clerical/EHR role, during a patient exam?" 5% have a scribe in place, 25% are considering using one and 56% would never use one. --"My nurse functions as a partial scribe;"
--"Dictations are the issue, not writing;"
--"I can't afford to use a scribe;"
--"I just hired someone two weeks ago to function as [a medical assistant] and a scribe;"
--"I would LOVE to have a scribe, but my facility will not allow them. In March's reader poll, we outline another dramatic change to how internists interact with patients, by considering how the doctor-patient relationship changes when patients are allowed full an open access to their medical record. We ask, "Open records allow patients to see their medical records and incorporate the contents into their care. Which statement below best describes you?" Tell us what's on your mind and we'll report your responses in our next reader survey.